Making official a quintessential American tradition dating back to the 1621 feast between the Pilgrims and the Wampanoag tribe, President Abraham Lincoln in 1863 declared the last Thursday of November to be the national day of Thanksgiving – a vain attempt to unite the North and South at the height of the Civil War. Today, the Sioux people are continuing to take a stand on these principles – the flashpoint now being the Dakota Access Pipeline, which, upon its completion is expected to transport some 470,000 barrels of crude oil a day across several states. Sioux tribe members and their allies have protested this pipeline for months, raising concerns about the threat it poses to their water supply, the effects that the fracked oil will have on the climate, and the process by which the project was approved, saying that it failed to take into account Native rights. The government, of course, is responding the way it always has to Native American resistance – through brute force. Over the past few months, police and private security forces have viciously suppressed the water protectors, siccing dogs on them and arresting them for “trespassing.” The repression, which a group of United Nations experts called “excessive” and “increasingly militarized,” culminated Sunday night in some of worst violence against Native people seen since the 1973 siege of nearby Pine Ridge Reservation in South Dakota. The police assault led to several reported cases of life-threatening hypothermia. “It is below freezing right now and the Morton County Sheriff’s Department is using a water cannon on our people – that is an excessive and potentially deadly use of force,” said activist Dallas Goldtooth. RPJ, every word of your comment is in error. The “Indian reservations” you refer to were established by treaty between the US Government and the respective First Nations. Treaties can only be signed between sovereign nations. They are sovereign nations, their land is not, and cannot, be “owned by the people of The United States”. David, you and the others arguing faux federal Indian common law have yet to answer my question. And, none of you have read the suggested text in Osborn vs. Bank of the United States on citizenship nor have any of you read: http://lexrex.com/enlightened/AmericanIdeal/aspects/limited_gov_treaty.htm text excerpted below clearly defeats your and the others position We, the People, of the United States have ‘treaties’ with “Indian nations” comprised of a select group of U.S./State citizens since 1924 with “Indian ancestry/race.” The Constitution forecloses any such condition as “Indian nations” within the United States…a condition neither you nor any of the others has overcome. You seem to be unaware of the concept of Dual Citizenship. Just because Citizenship is granted, does not mean that pre-existing citizenship is revoked, unless the original ctizenship is with a country that requires that their citizenship be denounced when accepting another Citizenship. There are many British-US dual citizens (including Obama). That does not mean that the UK is now a US territory. Nor is Israel a US territory, despite the prevalence if US-Israeli dual citizenship, including Netenyahu. So again, please educate youself before copy-pasting your repeatedly debunked attempt at argument yet again. The governor of North Dakota is on the same side of history as George Wallace of Alabama. Similarly, the sheriff of Morton County is on the same side of history as Bull Connor of Birmingham, Alabama. THE WRONG SIDE!! The land commonly known as an “Indian reservation” is owned by the People of the United States according to federal documents circa 1927. U.S./State citizens with “Sioux Indian ancestry/race” are merely tenants with rights of “use and occupancy” the land is owned by the People of the United States. RPJ, every word of your comment is in error. The “Indian reservations” you refer to were established by treaty between the US Government and the respective First Nations. Treaties can only be signed between sovereign nations. They are sovereign nations, their land is not, and cannot, be “owned by the people of The United States”. You misuse the word “tenant”, falsely applying a “residential landlord/renting” meaning when, in this case it means “tenants in common” as applied to land title/deeds, and is a way of “translating” tribal communal land ownership into common law terms and refers to the relation of the individual Indian to his tribal nation, not that Indians are individual “renters” from The United States. This is a endemic feature of all your comments, applying your peculiar definition to words already having an objective definition. You avoid discussing sovereignty, or even using the word, when it is the legal concept on which the entire discussion turns, making all your comments irrelevant. Has there ever been a treaty agreed on by the US government and Native Americans that was not reneged on by the former? Disregard for the human rights of slaves and Native Americans in the early history of the United States seems to have become interpreted in the minds of many people as precedent justifying the evolution of this squalid and contemptible practice into a national tradition. In the United States it has become apparent that laws are not necessarily synonymous with justice and that treaties and the Constitution are only applicable when they suit the political expediency of the more powerful party. Incorrect. PRJ, obviously you have not read the 1924 Act, which extends United States citizenship to all “Indians” who at that time were citizens of their respective tribal nations, making them dual citizens. It did not, and cannot, abrogate First Nations sovereignty, which was repeatedly recognized by The United States when it signed treaties, which can only be signed between sovereign nations. PRJ, your basic error is the assumption that the various tribal nations are not sovereign, an unacceptable stupidity that renders you unfit to participate in debate. David Smith, you and the others have provided no Constitutional authority to defend your collective position…once citizenship was achieved, neither Congress, nor Presidents nor Initiative nor Referendums by common law-state or federal-can ‘enlarge or abridge’ or subordinate U.S./State citizenship to any other claimed citizenship; and, the Constitution does not recognized “Indian citizenship” and there is no international recognition either. Read the United States Supreme Court decision in Osborn vs. Bank of the United States and their explicit definition of U.S./State citizenship in relation to the United States Constitution…you and the other have provided no amendments to the Constitution to make a select group of U.S./State citizens distinguishable. Clearly you have bought for decades hook, line and sinker the myth of federal Indian common law which you cannot defend when challenged by Constitutional tenants. Lastly, the Indian tribes lost the wars…time to move on from arguing myths…as of 1924, all became U.S./State citizens…nothing more because of your “Indian ancestry/race” and nothing less because of your “Indian ancestry/race.” The Constitution makes for no provisions for a creditor or debtor race. When your argument is repeatedly shown to be bogus, a sane individual would either bow out, or attempt another line of argument. That you are full of it is made clear by your continual “US/State citizenship” mantra (where is your Utah passport?) As well as your clueless repetition of the absurd claim that it takes 1/3 of the voters to make a constitutional amendment. Have you ever even read the Constitution? You cite a law that gives dual citizenship to our first peoples, but, unless you can point to an appropriate decision by the Sovereign Nations of the First Peoples to relinquish their Sovereignty, this in no way can abrogate their status as Sovereign Nations. Read the US Constitution Article VI Clause 2, aka the Supremacy Clause, and it becomes rather obvious that treaties are equivalent to (arguably higher than) the Constitution itself, therefore, it would take a Constitutional Amendment to alter this. To repeatedly demand evidence of an Amendment that states what the original Constitution itself states, while in the same demand displaying your utter ignorance as to what is required for an ammendment to be ratified, really does make you appear as a drooling idiot. How ironic. As of The Indian Citizenship Act of 1924, there are no more “Indians” within the original meaning of the Constitution…only U.S./State citizens with “Indian ancestry/race” entitled to no more and no less than every other non-Indian U.S./State citizen. The Constitution makes for no provisions for ‘sovereign Indian nations’ nor does the Constitution make for provisions for We, the People, to have treaties with other We, the People, because the other people have “Indian ancestry/race.” With rare exceptions, according to federal documents circa 1927, the land commonly known as an “Indian reservation” is land owned by the People of the United States with U.S./State citizens with “Indian ancestry/race” residing on said land as ‘tenants’ with rights of “…use and occupancy…” with the land title held in fee by the People of the United States. Title 25-INDIANS is an un-ratified “Irregular Engineering Standards Change” (pronounced ‘ears’) to the Constitution and does not exist. No, Paul, it is more complex than that, please see my comment above. You have not answered my question. It is simple question…so simple, it is hard. Paul, your question has so many obvious errors of fact that I hesitate to reply. 1. The Constitution is not changed by a vote of the people. See Article V.
2. When an amendment is proposed for ratification, a 2/3 vote of the House is needed. No 1/3 votes are used. 3. No amendment is needed. The group has a unique status under the Constitution due to treaties. You apparently have refused to read and try to understand the replies you were patiently given, and respond with further questions. The world is not as simple as you wish. Clearly you have not researched how an amendment to the Constitution is done. States put a petition to amend before the citizens of the state and then, the state legislature acts upon the vote of the people in approving the Amendment or not. 2/3rd of the U.S. House and U.S. Senate must pass the Amendment which is then presented to the various states of the Union who in-turn present the amendment to the voters of the state for their approval requiring 2/3rd of the various states of the Union to do so (I am not aware of any state not presenting to the voters of that state the proposed amendment for a vote and upon the vote from the voters, the state legislature accepts or rejects the amendment on behalf of the state’s voters). No common law-state or federal-can ‘enlarge or abridge’ one’s citizenship absent an amendment to the Constitution. Again, the Constitution makes for no treaties with it own constituency…and they are citizens. Period. Lastly, you have not read the suggested essay on treaties have you? We, the People of the United States do not make or have treaties with other citizens of the United States…no where in the Constitution have you provided for such authority. Eric, the full text of Article V pasted below. In actuality, only We, the People, can amend the Constitution as the true sovereignty rests with the individual citizen of the United States. As “Domestic Dependent Nations” Indian Tribes were defined sovereignties, though U.S. government dependent ones, “wards of the U.S. Government, their Guardian. Guardians have obligations to wards, wards have rights guardians are legally required to preserve and respect. Citizenship is irrelevant in a guardian-ward relationship. In the Georgia v. Cherokee Nation case it was the U.S. who had the obligation to cary the Cherokee Nation’s case to the U.S. Supreme Court and to protect the lands and rights of the Cherokee Nation against incursions by Georgia, or any other U.S. subordinate governing jurisdiction. That the U.S. did not do so did not erase the Constitutionally defined, and Supreme Court clarified, relational obligation. Nor did the “Indian Citizenship Act of 1924, or any subsequent legal acts. U.S. negotiations of “Indian Reservation lands” were not “grants” of Unitd States, or People of the United States owned lands, they were expropriations of surrounding, or alternative area indigenous peoples owned lands, with the “reserved” areas “ceded” from the expropriations, and so treaty-recognized to remain national lands (called tribal lands) owned by the specified indigenous peoples, but held in guardianship by the U.S. Government, who had guardianship responsibilities to the indigenous peoples and their defined real property. United States citizenship does not displace indigenous peoples’ tribal citizenships. U.S. Citizenship only allows indigenous peoples to live as United States citizens in United States controlled jurisdictions. Indigenous peoples remain indigenous tribal citizens even as, and when, they are outside of tribal areas, or in other tribal areas (on other groups’ reservations). The grant of U.S. citizenship effectively only frees indigenous people from constraints of wardship when they are in U.S. territory (off their reservations). On their reservations their U.S. citizenship is moot; they are there tribal citizens, subject to tribal law, and in ward status to the United States, the United States’ guardian duties to them, clarified by Justice Marshal, remaining, and unaffected by their being citizens, just as any ward of a guardian is unaffected by his or her citizenship. In the current Standing Rock Reservation case the surrounding states, who are fielding police forces, do not have legal status, or standing in relationship to the Reservation, or the tribal members on the Reservation. Legally they need to go, or deal with the tribe, through the U.S. Government, and the U.S. Government has obligation to represent the tribe and safeguard th Reservation and its resources, and resources the reservation, and tribe members thereon depend on. The last to treaty specifications. In the case of water rights the rights are like those of Mexico to Colorado River water, which must be permitted to flow, or, where interrupted (or dispersed, be alternatively supplied, or substituted for, per negotiated agreement treaties. There are lots of precedents in United States practices for cheating indigenous peoples and ignoring guardian obligations, stealing, diverting, swindling, etc., but those precedents have been deemed illegal, and not legal precedents, so they do not justify the practices as ‘permissible’ or ‘established’ practices. Thank you Evangelista! I was following that thread above and you cut right thru the crap. Thanks for your clarification. An analysis of recent legal cases would be helpful but very lengthy, and is a rare legal specialty. Most trends in federal civil rights law are not positive in recent decades, due to oligarchy appointments. The Constitution recognized no such thing! Once citizenship was achieved in 1924, everything prior to that date as noted in your reply regarding “Indians, Indian treaties, Indian nations, domestic dependent nations” et al vanished. SCOTUS explicitly defined U.S./State citizenship in: OSBORN v. BANK OF U.S., (1824) and neither Congress nor Presidents nor Initiatives or Referendums can ‘…enlarge or abridge…’ one’s citizenship absent an amendment to the Constitution to do so; nor can any of these actions by politicians subordinate U.S./State citizenship to any other claimed citizenship ie. Indian or German or French. Evangelista, please provide the proclamation ratified by 1/3rd of the voters of the United States to amend the Constitution to make true your post. Everything you have said here is irrelevant or wrong. You should have read the replies more carefully. You will be embarrassed if you study the subject. You are a gas-bag. You blow flatulence to float “argument” balloons whose contents are only your own gas-blow. Gas-blow does not contain or carry any of any kind of authority, however substantial might have been the “Authorities” you chewed through to ferment your bloat. In your gassing you convert the United States Constitution to gas suitable to shape your gas-cloud constructions. But the United States Constitution, however much you gas it, cannot extend outside the United States. It cannot extend even within the United States to treaty-recognized sovereignties within the United States. Review law in regard to ‘diplomatic territories’ and ‘diplomatic immunities’. I would say review ‘Indigenous Nation Sovereign Territory Reservations’, but you have proofed yourself too beclouded in your own vapors to discern the factual existences of those. You also appear incapable of comprehending the concept of citizenship, or its confinement in national territory. So telling you that Indigenous Americans native to territories usurped by The United States are not and never have been and cannot have ever been “Naturalized” to become United States citizens, or that for that no “Naturalized Citizen Law”, written or case created, can be applied or be applicable to them would be a waste of time. Nonetheless, out there, outside your ability to comprehend, in 1924 the United States extended “Rights of Citizenship” to indigenous peoples in the United States, by “recognizing” them, without naturalizing them, or even “making them” citizens. And despite your best contrary imaginations, neither the United States Constitution, nor United States Law, does, or can, extend itself to control in non-United States territories, where ever those territories might be, even if only an embassy in New York City, unless and except through mutual agreement defined in nation-to-nation treaty. Thus, in reality, the United States cannot extend United States citizenship to any Indigenous American peoples in their own sovereign territories whether those territories are in Mexico, Canada or in the United States, itself. Anyone with a mind working I would advise to review cases at law and discussions of problems of legal problems arising between the United States and Indian Territories (today known as Oklahoma), in absence of extradition agreements and treaties, before those Treaty Recognized Sovereign Territories were made, legally or otherwise, the State of Oklahoma. I will not advise you review the Supreme Court Decision in the Cherokee Nation v. State of Georgia case, because I did before, and you have shown yourself incapable of comprehending the indirect implication of the Court’s decision, that the Cherokee lacked standing to engage a state of the United States in a Untied States court because they were a nation outside United States, and so outside of inter-state United States legal jurisdiction, which meant they were a sovereign state, even if enclosed within the United State and therefore, for being surrounded and so restricted, dependent on the United States (who had the obligation to carry their case against a state in the United States for them, which obligation President Jackson illegally refused to carry through). Treaties are proofs of sovereign status: If two parties make a treaty the parties recognize each other sovereign. There are no treaties between New York and New Jersey, and there cannot be, because both are of the same nation. There are, however, many treaties between the United States and many indigenous tribal groupings. To anyone with a brain working those treaties proof both that those treaty-making groupings are sovereign, and therefore nations, and that the United States, in making those treaties, formally and officially recognized the groupings sovereign. No amount of blather-gas blasting and flatuous pronouncement making you blow of what You, if God, would balloon the United States Constitution, or United States Law, to ordain or say, or be or not be, or mean or not mean, makes anything you puff to be reality. You cannot make fatuous gas generations legitimate constructions or make misconstruings correct understandings. When you begin at a middle, with hot air afloat in empty air, and prove by blowing your own hot-air imaginations constructed from your own empty convictions, and build of that air, in air, adding nothing but more air, with no connection to anything but your own flatulence for foundation, you produce nothing. You do not even make air; You only move air and foul air. It will not ever make any difference how much bad law and constitutional misconstruction you have chewed through to bloat yourself to power your blow. Unlike many groups wronged long ago, the native Americans have specific legal basis for reparations in accordance with the treaties. They also have standing apart from US law in many cases, enabling them to operate casinos where otherwise prohibited. An analysis of this standing in an article would be useful in considering their rights relative to DAPL. The Sioux could assert a compensation claim under Amendment V (“nor shall private property be taken fpr public use without just compensation”) for payment, on the grounds that federal enforcement of DAPL right-of-way over their treaty-guaranteed lands amounts to eminent domain taking with effects upon their other lands, for which they are owed just compensation. Then the USG gets its eminent domain right (if asserted) but they get the value thereof. They should also require a USG CERCLA covenant to remediate any environmental damage. The resulting just compensation might cost more than re-routing the pipeline. The Sioux leaders should talk to ACLU or other rights advocates for detailed advice. Paul R Jones you are in error.The 1924 act of congress extended US citizenship to First Nations who became dual citizens of their respective First Nation and The United States. Treaties are only signed between Sovereign Nations. 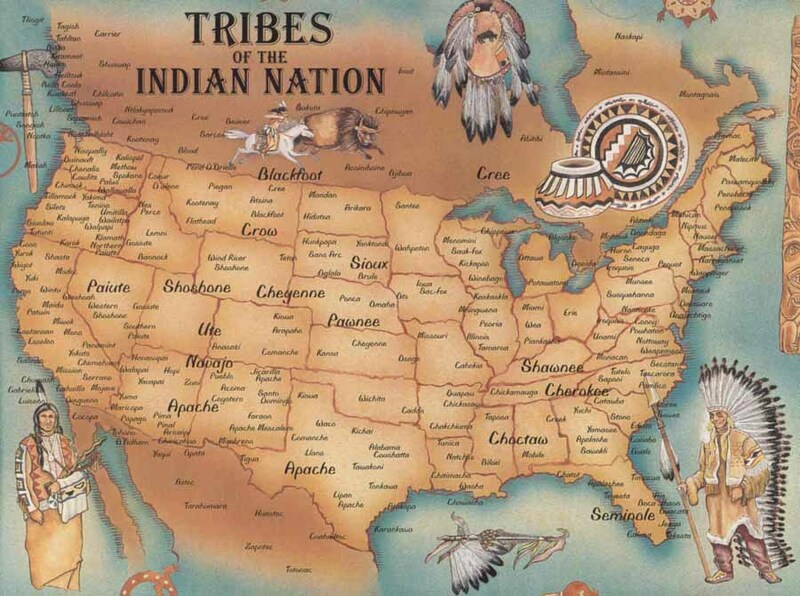 The various “Indian Reservations” are Sovereign Nations within the borders of The United States. The 1924 Act was a practical remedy to extend civil rights, it did NOT abrogate First Nations sovereignty. The Constitution recognizes no such thing as a ‘sovereign Indian nation’! The Constitution makes for no provisions for ‘Indian treaties’ with its own constituency. The Constitution recognizes no other sovereigns in the United State but two: Federal and Various States of the Union. Provide an answer to my question…absent an amendment to the Constitution, you having nothing that ‘changes’ a U.S./State citizenship nor the Treaty Clause. Suggest you brush-up on the Constitution’s protections of one’s citizenship explicitly defined in Osborn vs. Bank of the United States, 1824. P.R.J., A TREATY is only signed between sovereign nations. By signing a TREATY with a First Nation, the US government acknowledges their soveriegnity.If you can’t understand that, then you are intellectually unfit to participate in a discussion.P.R.J. you falsely described the 1924 Act, as the basis of your assertions. I corrected you, but you have not acknowledged it, making you again unfit.P.R.J., the Constitution does not need text “recognizing” other sovereign nations, that is implicit in political philosophy. Of course the Constitution recognizes no other sovereigns within the US except the US Government(the “states” are NOT sovereign) but you fail to understand that First Nations territories are not part of the United States, making all your murky attempts at argumentation irrelevant. The First Nations peoples, by the 1924 Act, are DUAL CITIZENS, how can you find that difficult to understand? Your below post clearly shows you have no concept of what treaties are…they are not with Constituency. You have provided no change to the Treaty Clause to make your position true. P.R.J., A TREATY is only signed between sovereign nations. By signing a TREATY with a First Nation, the US government acknowledges their soveriegnity.If you can’t understand that, then you are intellectually unfit to participate in a discussion.P.R.J. you falsely described the 1924 Act, as the basis of your assertions. Once citizenship was achieved, everything prior to 1924, vanished. There is no such thing as “Indian nations!’ You have provided for no such Constitutional authority. Lastly, the moderator has removed most of my replies and I suspect the moderator will do the same. Using your illogic, the only valid federal law is the US Constitution and nothing else. The truth is that treaties voted for by Congress and signed into law by the president become part of the Supreme Law of the land. So your argument is completely bogus. As of the Indian Citizenship Act of 1924, there are no more “Indians!” The Constitution makes for no provisions for ‘treaties’ with constituency. There are no ‘sovereign Indian nations’ in the United States…the Constitution forecloses such. Actually, native Americans do have a special legal status as a result of the many treaties. Treaties are part of the supreme law of the US alongside the Constitution, so no provision therein is violated. I am not near my library, otherwise I could provide references, hence I have suggested expert response. An overview from memory follows. The legal decisions have been somewhat contradictory since the 19th century, one thread giving them a very distinct status and exemptions from state law and some federal law, another thread denying some of those distinctions. If you read only one thread you might think that the other did not exist, as partisans might try to persuade you. It is complex. As I recall, those opposite threads have run simultaneously through the legal decisions, rather than alternating or one superseding another. But I have not followed this for some years, am not an expert, and would have to research this from scratch. So an unbiased article summarizing the legal status would be quite helpful to thoughtful people. Where is the amendment to change the Constitution’s Treaty Clause whereby We, the People, of the United States have treaties with other We, the People, of the United States because the other We, the People, are of “Indian ancestry/race?” You did not answer my question. No amendment needed, Paul. You are assuming the need for a mechanism not needed. The Native Americans are clearly a special case, and have been dealt with as a special case. Please read carefully what I and others have said. You may want to read about constitutional law and treaties. Clearly you did not read the case. SCOTUS defined is explicit text the definition of citizenship under the Constitution…your post lacks support from any source and certainly not the Constitution and the portion about “…U.S./State citizenship…” is sophistry. Osborn vs. Bank of U.S. 1824 was not about and therefore said nothing on U.S. citizenship. There is nothing called “US/State citizenship”. Regarding the non-issue of treaties and internal lawmaking, you have been reading too much Ted Cruz(his bogus essay Harvard Law Review). There is not such authority you have provided that amends the Constitution to change the Treaty Clause whereby a group of U.S./State citizens with “Indian ancestry/race” have ‘treaties’ with other U.S./State citizens. There is no such thing in the United States as “foreign Indian nations” comprised of a select group of U.S./State citizens absent an amendment to do so. And, you have provided no such amendment only your opinion you cannot support citing the Constitution. As of the Indian Citizenship Act of 1924, there are no more “Indians” within the original meaning of the Constitution…only U.S./State citizens with “Indian ancestry/race” entitled to no more and no less than every other non-Indian U.S./State citizen. 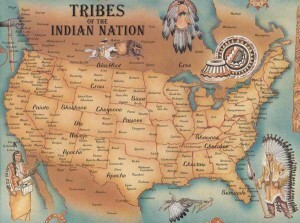 Title 25-INDIANS is faux federal common law that proports to make the health, welfare, safety and benefits of a select group of U.S./State citizens distinguishable because of their “Indian ancestry/race” which is in conflict with the 14th Amendment’s due process and equal protection provisions for citizens of the United States. Neither Congress nor Presidents nor Initiatives nor Referendums can ‘…enlarge or abridge…’ citizenship per Osborn vs. Bank of the United States 1824 absent an Amendment to do so. Incorrect. The 1924 Act made them DUAL CITIZENS of The United States and their respective tribal nations. On an aside, PRJ, where do you get the crackbrained notion of “US/State citizens”? Is Texas signing treaties, opening embassies and issuing passports? I did not say that. Perhaps you are questioning the reply. Your post below shows you have no concept of the Constitution’s protection for U.S./State citizenship. Nor do you understand the treaty clause. The Constitution recognized no such thing as “Indian citizenship” and there is no international recognition of “Indian citizenship” either. The Indian Citizenship Act of 1924, made moot all “Indian issues” prior to that date…they are U.S./State citizens and nothing more. As the article rightly pointed out, the Lakota do not want ‘reparations-compensation’ they want their land returned. As for other groups could you be referring to African descendants of those who were kidnapped and enslaved against their will? Surely the US owes them reparations into the billions.